After celebrating the 50th anniversary of Cohiba with the creation of three commemorative limited editions, Rick dela Croix’s Ares Distributors is proud to announce: Manufacture Zenith pays a tribute today to this Cuban legend with the production of a watch that fits into the very heart of its collection. The El Primero “Legend of Cohiba” embodies the excellence, precision and expertise that unite Zenith and Cohiba. Lovers of beautiful objects and fans of blue swirls, for which cigars are a rendezvous with time and pleasure, are sure to fall for this subtle blend of pink gold and Havana hues. 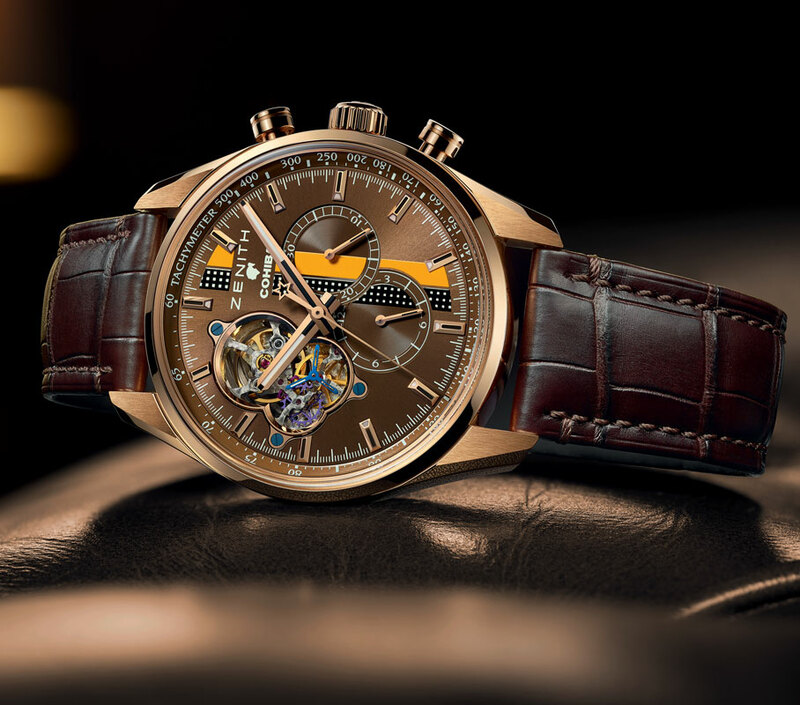 Half a century after their creation, the Habanos Cohiba and El Primero watches still retain the attributes that have forged their reputation and their multi-award-winning excellence. More than 50 years ago in 1962, the first lines of the El Primero movement appeared on a drawing board. The aim was to create an iconic watch for the 100th anniversary of the Manufacture Zenith in 1965. Given the enormous task of resolving the complexity of this legendary calibre, this watchmaking feat was not achieved until 1969. Meanwhile, the ‘Flagship of all Habanos ’, Cohiba was in 1966 . Time has now united two icons through the creation in 2016 of a unique watch collection celebrating their excellence, expertise and supremacy. A Habano is a prestigious object that, just like a watch, embodies an entire tradition of historical production and know-how. Tobacco came to the Old World following the discovery of the New World by Christopher Columbus. More than 500 years later, the most famous brand in the world is partnering with the Manufacture Zenith in a joint celebration of what time has brought them. On this occasion, the El Primero “Legend of Cohiba” housing its emblematic El Primero movement – the world’s most precise high-frequency chronograph punctuating the time at a frequency of 36,000 vibrations an hour and markings tenths of seconds – sets aside its legendary tricolour light grey, anthracite and blue outfit to adopt the colours of the ‘Flagship of all Habanos ’. The case-middle of its 42mm pink gold case is engraved with the year 1966. The small seconds at 9 o’clock reveals the profile of the aboriginal chief Taíno – the emblem of the brand Cohiba. The dial displays the golden nuances of a tobacco leaf and bears the signature Cohiba rings. In a subtle reminder of measurement, its emblematic lines cross the dial, vertically accentuating the width of the watch, just like a cigar on which they indicate the diameter. Complemented by a brown alligator leather strap with orange and yellow-tinted lining, the watch comes in an exclusive wooden presentation box featuring the same colors as the legendary Habanos.